Woke cold near a raging river at ~11,000 ft elevation, feels strange to start getting used to being so high. Hiked into Bullfrog Lake and then over Kearsarge pass, which was oddly easy. The other side of it however seemed to go down forever. We bumped into other hikers we know who were coming up. 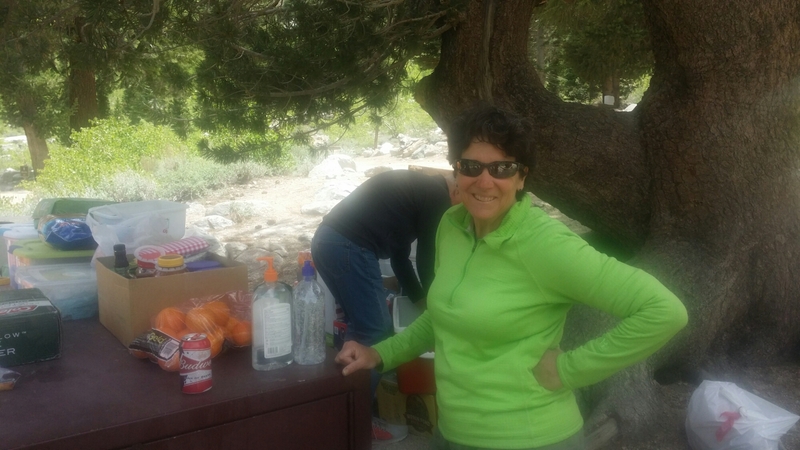 It goes down to about 8,000 ft elevation and then Lone Pine is at 3,700 elevation. Our water bottles all collapsed in the air pressure on the way down. Hiking along in the morning was strange, sometimes on the trail you have memories just pop up. Things you have not thought of in years. For me in the morning it was perfect memories of me being young in Alaska and my parents starting up the kerosene heater while I waited. I was young and about to go to school, and I could even remember my thoughts and smells. The key was the cold, waking on a cold morning was obviously normal there in Alaska but it has been a while since it had been normal for me as an adult. We got far down and to the parking lot for people staging their hikes or camping. The mountains are so steep here you would think they will fall on you, it is a terrifyingly visual trick. 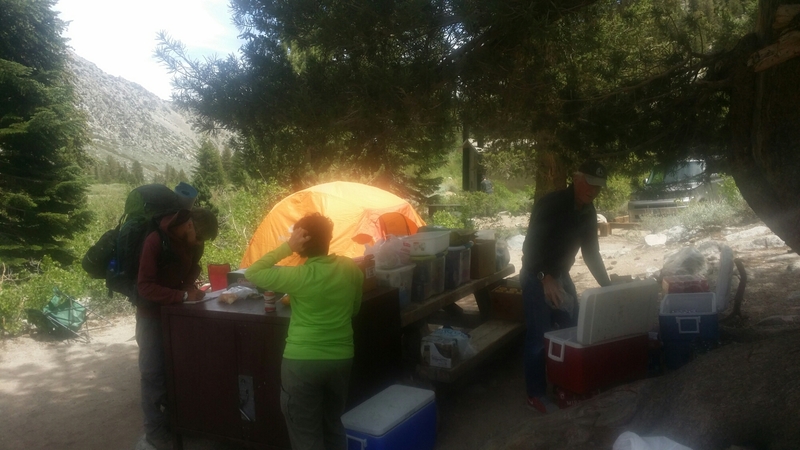 We were lucky and bumped into some people setting up for two weeks of trail magic, I helped them set up tents and bring in loads of food. Then we got a ride into Lone Pine, a neat little town where everything is on one street. Finally am able to upload journal entries and pictures. Also being able to make calls and text is good for me. I know I have lost more weight as well, I can feel my ribs again. I don’t have a scale but I would put me about 170 or under.